2019 Venture RV SportTrek 251VRK - For Sale in Gambrills, MD. 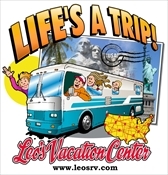 Imagine you, your spouse and your pet traveling to different campgrounds to see family, friends and new scenery. This SportTrek travel trailer provides plenty of storage throughout including inside the exterior pass-through compartment allowing you to carry extra outdoor gear. You even have the choice of cooking and dining inside with full kitchen amenities, or outside where the action is. The radius shower gives you plenty of space to get cleaned up before relaxing and visiting with everyone, plus you can sleep on a queen bed with a designer padded headboard in the private bedroom with the second entry door into the trailer. Stop, take a look, and start camping in comfort.